Xaar is a Cambridge based company that makes many different kinds of inkjet head. It is also has invested in High Speed Sintering (HSS), the Factum machine both pioneered by Neil Hopkinson to increase throughput in 3D printing. What may come as a surprise to many is that apart from HSS, Xaar is looking to partner with more 3D printing businesses. The company is actively seeing to develop applications with OEMs and industrial partners through which new inkjet-based 3D printing technologies are commercialized. The company’s business development manager Mike Seal explained Xaar’s position, capabilities and vision to 3DPrint.com at the TCT Show. With new inkjet technologies ramping up to be the next area to be commercialized and inkjet in metals one of the hottest areas for investment currently inkjet is a very exciting technology now. Inkjet piggybacks on billions and decades of investment in new and interesting ways to get lots of different inks to stick in a coherent way to lots of different things. If we just make that a 3D technology then we can expand the space of the makable significantly. Uniquely Xaar is open about its inkjet heads letting you play with them and have settings information so you can actually develop a new technology. The company is also open to working directly with you in making a material or substrate work in inkjet. Why is Xaar interested in 3D printing? “It’s a rapidly growing, exciting digital industry and plays to Xaar’s strengths. Inkjet technology is very suited to the requirements of the 3D printing industry as it transitions from prototyping to volume manufacturing. Inkjet printheads are capable of accurately ejecting droplets of fluid thousands of times per second, whilst the capability of using multiple printheads on a single system enables scale and volume production. The digital inkjet market has been established for decades, and the technology has been used across a wide range of applications, such as for printing graphics, ceramic tiles, packaging and labels. Digital inkjet has already proven itself in a number of harsh environments where high volume is critical. Systems and components continue to be prohibitively expensive to potential adopters. In comparison to systems that use lasers or similar, inkjet printheads have a significantly lower purchase price and prove much more cost-effective over the lifetime of machines. Xaar in particular has a number of advantages that are especially useful for this market. Xaar’s unique printhead architecture and two key technologies enable more choice for the end user – specifically, access to a wider range of materials which is growing as the inkjet technology itself advances. polymer powder-based approaches while ductility (Elongation at Break) is often significantly higher. The process requires no support structure and features as small as 0.5 mm can be easily reproduced. 5. What kind of companies and people would you like to work with? 6. When developing new materials for inkjet how does Xaar work with people? 7. Do you want to work with OEMs to make new inkjet 3D printing technologies? 11. 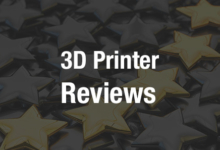 What types of inkjet 3D printing technologies could there be? 14. How about coatings for parts? 15. What are some cutting-edge inkjet applications being developed now?